Welcome to Week 2 of my 12 weeks of Christmas series. 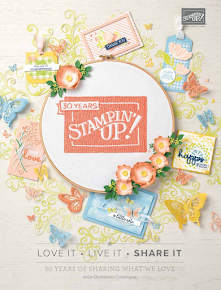 Today I am sharing a really cute & simple project you can whip up in 10 mins. I know because I did just that! I needed a little box to hold a scented candle I am giving a friend & this Bakers Box is the perfect size. I wanted a wintery feel as this is travelling overseas shortly & they will be having a White Christmas. 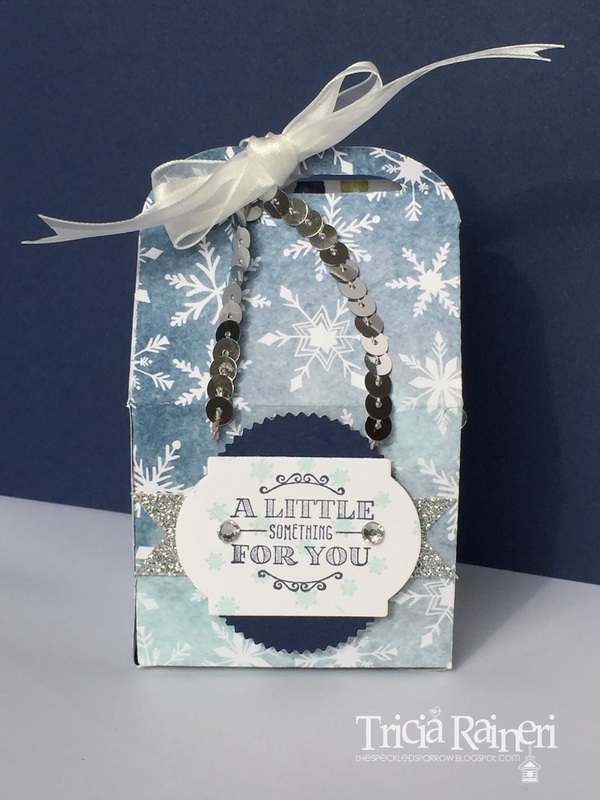 The Season Of Cheer DSP has a really lovely soft snowflake design that was perfect for my project. 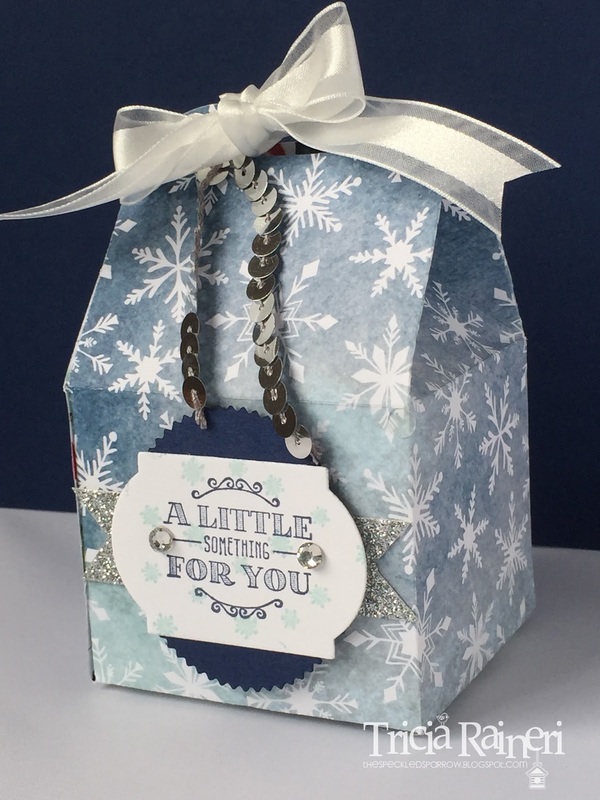 To make this box, you need to cut out 2 of the Bakers Box die cuts using any DSP or cardstock you like & then glue them together. Easy peasy! 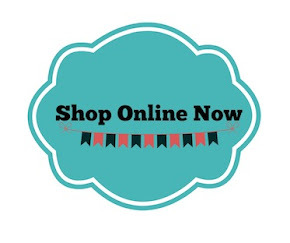 I have added some bling in the way of a silver glimmer banner, some sequin trim & two rhinestones. See the little tag on the front. Well, that was super simple to make also. 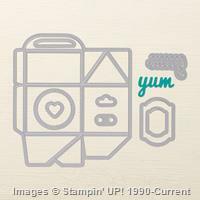 The Bakers Box die comes with lots of small shapes to cut along with your box. I used the circle behind the largest tag & I chose a sentiment from "A little Something" stamp set as it works perfectly for little gifts. Although you might not be able to see them, I stamped the tiny snowflakes stamp (from the same stamp set) on the background of the white tag in Soft Sky to add some colour. 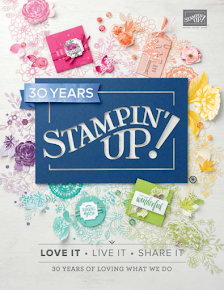 Here is a link to the Stampin' Up! YouTube video on making the Baker's Box.